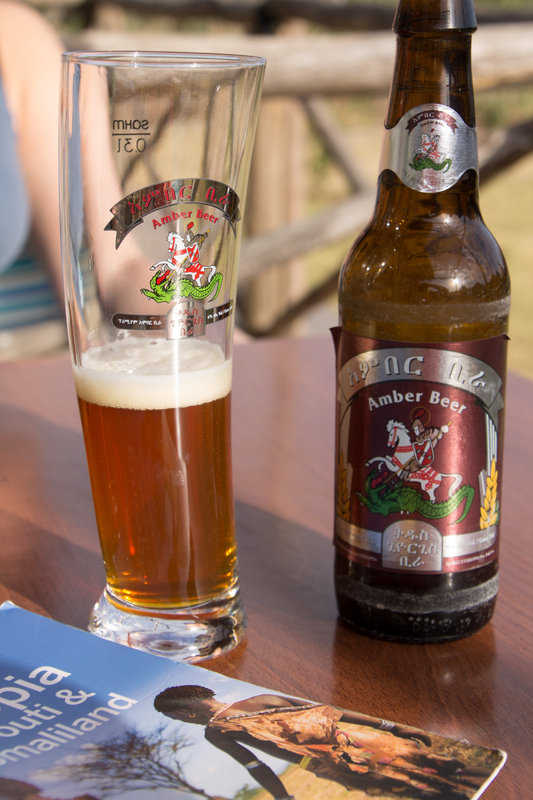 The Amber beer was cold and refreshing; our host’s smile warm and welcoming. Twelve hours into our two-week trip to Ethiopia and I was already feeling embraced by its people. From the minute we stepped off the ‘plane to be directed by a smiling airport official, I had a good feeling about Ethiopia; a feeling that told me this trip wouldn’t just be about the wildlife, landscapes and history. With every beautiful smile and twinkly-eyed laugh, I fell a little more in love with Ethiopia. By the time we reached Gonder and Mayleko Lodge, we were ready for that beer. While the domestic terminal of Bole Airport in Addis Adaba had proven surprisingly comfortable, thanks to its body-curve recliners that allowed us to snooze, 24 hours of travelling were taking their toll. A spacious cabin with big beds was just what we needed as we adjusted from British winter to African summer. A beautifully quiet place, 16km outside Gonder itself, Mayleko Lodge is a complex of about ten cabins, each with its own terrace – the perfect place to drink the owner’s favourite beer, Amber. A few minutes later, she sent over a plate of home made fries as an evening appetiser. Nice touch! As the sun softened and the beer softened us, my friend Kate and I contemplated our trip with huge grins. The flights had been booked back in December, and nearly three months in which to plan and anticipate had added to the excitement of setting off on our first big trip together. Finally, we were here, in the cradle of civilisation and coffee. 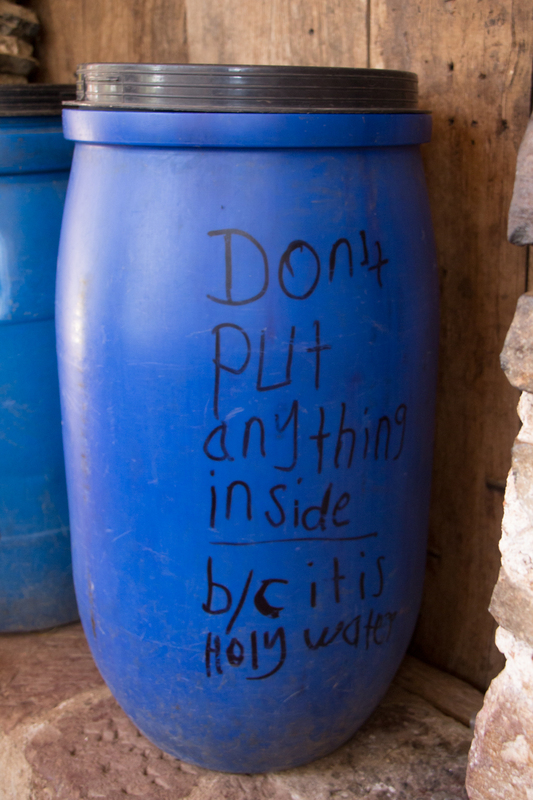 With one day to see Gonder, we were keen to get going the next day, thinking it would be a rush to fit everything in. Not so. It’s a lovely place, full of 17th Century palaces, but most of them are grouped together in one site, making it neat and easy to see everything. The complete lack of hassle immediately marked Ethiopia out as different from many other African countries we’ve been to. I’m not really one for a guided tour, although I’ve been on many of them. I don’t absorb historical facts well, so for me, the enjoyment of a place is much more aesthetic than factual. We entered by the ticket office, expecting to be followed round by guides touting for business. But after a polite enquiry and an equally polite refusal from us, that was it. No-one pursued us and no-one looked at all put out that we weren’t hiring a guide. It was a gorgeous complex of palaces to meander round, mostly crumbling. It was wonderful to imagine the grand court of Emperor Fasiladas meeting, greeting, scheming and partying. While we focused on photos of the ruins, Ethiopian tourists posed for photos. And while they were immaculately dressed, we were in traveller’s gear of baggy t-shirts and deeply unpretty walking trousers; not ideal when they asked us to pose for photos with them! There’s nothing like a stunningly beautiful Ethiopian woman to make you feel frumpy and dishevelled. It wasn’t the first time that I wished that I’d packed some make up and I came to regret deeply the absence of hair conditioner in my wash bag. Quitting the palace complex we hailed our first tuk-tuk. There’s something about a tuk-tuk ride that makes me feel ‘yes, I’m away’. The noise, the dust, the drivers (and in some countries the crazy traffic) signal ‘other world’ in one gloriously loud and frantic snapshot. The tuk-tuk driver wound up a short hill to Debre Berhan Selassie Church, one of the area’s most richly decorated. Every square centimetre of the walls and ceiling inside are covered in religious murals – wide-eyed cherubs above and bible scenes on the walls. It was fascinating. But this was my favourite photo from the site. All this history made us hungry for shade. And lunch. The tuk-tuk trundled uphill, struggling and bumping, to The Goha Hotel. It was recommended because of the view; perched on the edge of town, it’s truly panoramic. It was full of tourist groups and was deeply disappointing because of this. I think it was just too European for us on our first day of sightseeing. The view, though, was superb. Suitably rested, we realised our beginners’ mistake; don’t let your tuk-tuk go when you’re in the middle of nowhere. Negotiate a price for the day instead. Still, the long hot walk back into town meant that we chatted on the way to a few people and had lots of nods and smiles. Thirsty for our first real Ethiopian coffee, we eventually found a tuk-tuk and asked for the EEPCo Coffee House (praised in the guide book as the one with the best coffee in town). Much to our amusement (and that of our tuk-tuk driver) they had no coffee. So we went round the corner to Habesha Coffee Shop. I loved the fact that although we were the only women there, no-one gave us a second glance. I’ve been in plenty of African and Middle Eastern countries where we would have been objects of intense interest. Ethiopia was wonderfully refreshing in this respect. The coffee was stunning – as strong as an espresso but beautifully rounded and deep without a hint of bitterness. And no grounds, unlike Turkish coffee. Ethiopian coffee made the traditional way is the best coffee I’ve ever drunk and probably ever will. Next stop was the ceremonial baths, which in Fasiladas’ time was a summer house and party central. These days, it is the focus for Timkat (Epiphany, on 6 January), when hundreds of people are ‘re-baptised’ in a raucous, joyful celebration. In the quiet season, the pool is empty and a gentle wind breezes around the walled enclosure, leaves fluttering to the floor. It was a serene, lovely place. The highlight of the day wasn’t the sight-seeing, although everything we saw was superb. The highlight was getting on a little minibus, crammed in with local shoppers and workers. We couldn’t chat, as we had no Amharic, but there were many smiles and nods and laughter. I think my bleached, cropped hair was a good source of entertainment but mostly I think it was just that tourists tend not to hop on the bus. Fabulous – brings back lots of memories – what an amazing country – loooking forwards to Part 2….